Beautiful lips are among the first to get noticed and today's woman needs to take extra care of her lips. This first of its kind product in India (Patent Pending) does just that!. The primary purpose of this lip lightener is to lighten lip darkening helping restoring your lovely 'natural' lip tone. The lip darkening could be due to chemicals in lip colors, sun exposure or excessive tea/coffee intake. You get visible results within 4-6 weeks of regular application. If you are a Lipstick user then, this revolutionary product provides a protective layer on the lip surface that acts like a 'primer' before application of any lipstick/ lip color thereby protecting the lips from any unfavorable effect of the chemicals in the lip color. 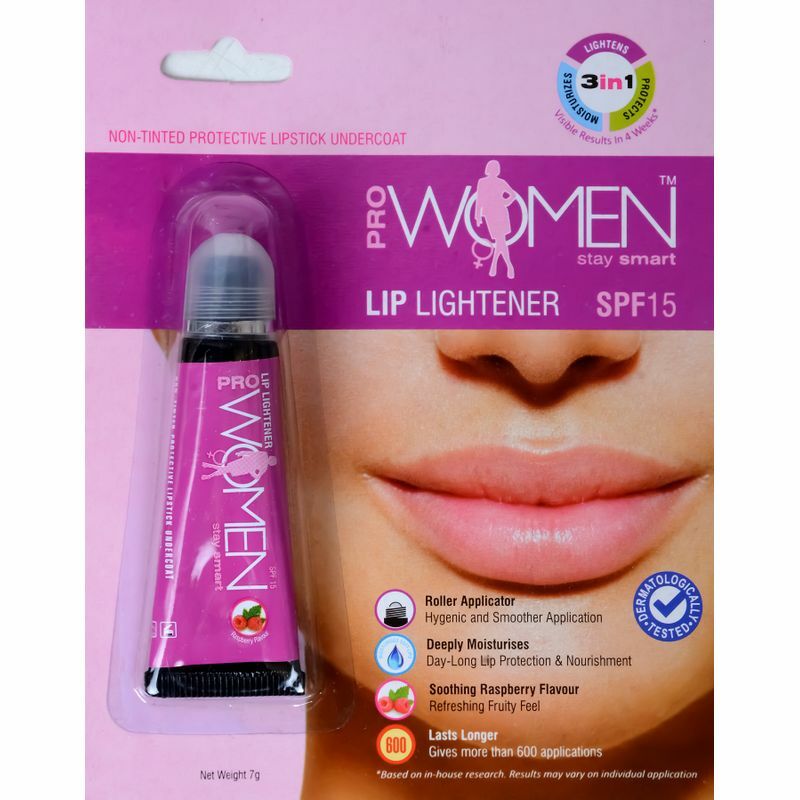 Just like a primer to paint Prowomen Lip Lightener provides a base on which your expensive lipstick looks better, lasts longer and is consumed less. Its unique stainless steel roller ball applicator ensures that hygiene is maintained and you get more than 600 applications thereby making it extremely inexpensive. Seals lip moisture and makes your lips deliciously soft and supple. Explore the entire range of Lip Balm available on Nykaa. 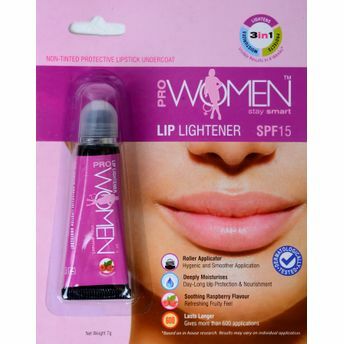 Shop more PROWOMEN products here.You can browse through the complete world of PROWOMEN Lip Balm .